I was at work the other day when a customer asked me what music I was currently listening to. I was surprised at the random question but really excited to share the artists I was currently enjoying (I'm listening to a lot of Austra). He also ended up giving me a list of albums to listen to. It was really nice to connect with someone for a short moment and gain some new material to add to my playlist. I think its something we should all strive to do more. You don't need to have a full out conversation with a stranger, but the next time you have to make small contact with someone (at a store or waiting in line for something) ask what they are listening to and make some suggestions yourself. Some of my favorite albums that I'm always anxious to share with people are concept albums. Concept albums are so important to music, with amazing storylines that give fans a deeper connection to the album being listened to. However, there are so many that are easy to overlook. When it comes to making concept albums, the metal community is difficult to compete with. You can even go as far as to say that there are concept bands. Everything that Nile makes is purely related to Egyptian history, religion and art. Plus the members of Gwar may arguably be everyone’s favorite aliens from outer space. The stories that these bands tell range from the cosmic tale that Mastodon tells on Crack the Skye, to the political commentary on Green Day’s American Idiot. Here are some of the albums that I think should be on everyone’s playlist. This could be deemed the least serious of all the albums on the list, but being the musical genius that he is, Townsend makes it work. The album is about Ziltoid (The Omniscient), a fourth dimensional emperor on the search for the finest cup of coffee. The intro track of the album is an operatic fantasy of sorts and sets the tone pretty well with the crushing of the drums and hard hitting short notes of the guitars. At the end of the intro Ziltoid demands the most ultimate cup of black coffee within “five earth minutes”. In By Your Command, Ziltoid is made livid by how disgusting the coffee delivered to him is and prepares to attack. While this is only track two of the album it is one of the most amazing songs on the album. The guitars are nothing short of incredible and the drums at the end of the song provide a great soundtrack for the entrance of war. Townsend still keeps this song on the setlists for tours today even though the album was released in 2007. It has already become a classic in the metal community and gives the listener epic expectations for the rest of the album. The power of By Your Command then transitions effortlessly into the more playful tone of the rest of the album. Ziltoidia Attaxx!!! has a sung chorus and a lovely guitar solo over which Ziltoid proclaims that he is the greatest guitar player ever. However, later on in the album we are introduced to Captain Spectacular and his plan to expose Ziltoid as the nerd he tuly is! However, throughout the comedy of the album there lie some great thought provoking moments. The end of the album features a beautiful song titled The Greys whose tone some may find slightly depressing. This song hints at how Ziltoid begins to feel insignificant after being told by the Omnidimensional creator that he is just a mere puppet like everyone else. The Ziltoid album is an incredible listen due to the beauty of Townsend’s vocals and the technicality of all of the instruments, but the subject matter and serious undertones are what makes this a great listen for anyone. 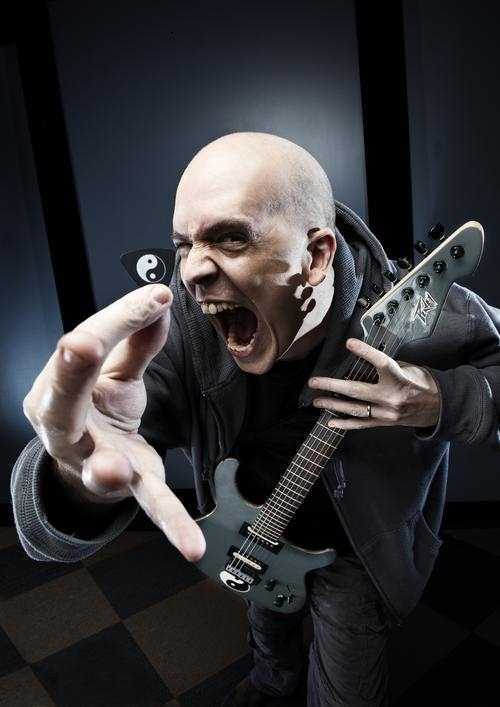 My favorites of the album are By Your Command, The Greys and Hyperdrive, but I also suggest that you listen to the remake of Hyperdrive on Devin Townsend’s 2009 album Addicted. It features breathtaking vocals by Anneke Van Giersbergen. While most of ISIS’ work revolves around a certain theme, Oceanic is one of my favorite albums by the progressive metal group. The ambient sound of the music is my main reason of adoration for this album, but it can’t be denied that the story of Oceanic was well told. The first track of the album, The Beginning and The End not only literally describes the beginning and the end of the story, but also describes the female in the story whom the main character feels he is completed by. The concept of the album is an emotionally unwell man who believes he finds love in a certain female. We later find out through the songs The Other and False Light that the woman our protagonist so deeply loves has had a long term relationship with her brother. The Other speaks of the incestuous relationship in the lines “Kept close in skin, Kept close in blood”. After finding out about this relationship the main character loses hope and commits suicide by drowning himself. The suicide is described pretty vividly in most of the songs throughout the album but with Aaron Turner’s vocal style the listener may not understand until reading the lyrics. Even with the harsh storyline Oceanic is a treat to listen to. The music fairs really well with conveying the aquatic theme, even rivaling Mastodon’s Leviathan. Oceanic also boasts a couple of impressive songs relating to the theme using little to no lyrics. Weight is a pretty lengthy song at nearly eleven minutes, but doesn’t get the least bit boring. The members of ISIS are amazing with their instruments of choice and this song will prove it to you. The guitars build up the song and can make you feel like you are being carried by the waves of the ocean. The drums carry the steady current of the sea in a beautiful way. Maria Christopher (of the band 27) provides vocals for the song but doesn’t even begin to take away from the music. The low sound of her voice in the background only accentuates the mood. There is only one line that she sings for the entire song. “All in a day, it changes everything”. Maritime and an untitled song on the album are two that are purely instrumental. The Beginning and The End, Maritime and Hym are favorites of mine from the album. This is another album I would recommend to everyone, but fans of the band Neurosis will especially love this. Both Isis and Neurosis are both great bands from the sludge metal genre. This was the first concept album coming from Opeth. It revolves around a ghost who doesn’t move on but instead watches a woman he loved as she grieves over his passing. The woman seems unable to come to terms with her loved ones death. Like Oceanic, this album also contains some superb instrumental tracks. However, my favorites from this album include When and Credence. Lead Mikael Akerfeldt has an amazing voice and arranged some great guitar work. Opeth began as a death metal band but this album is when their sound took a different turn. Akerfeldt did more singing (as opposed to growling) on this album. Also, all of the songs were actually under ten minutes. Opeth’s songs usually tend to stretch past that mark. This album was also the first for former drummer Martin Lopez to appear on (He is my favorite out of all of the drummers Opeth has had in their line up, but that’s a different story). Another cool fact is that the last word of each song is the title of the song following it. This is a great listen for those who are into the more melodic tones of metal. These albums are all dear to my heart and are all superb in their own ways. I would love to hear from all of you in the comments....any concepts albums that greatly resignated with you and what music you are currently playing. Until next time...Love and Hugs.